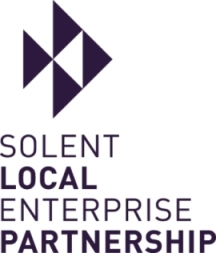 The Solent Local Enterprise Partnership (LEP) is seeking prominent business leaders to join its Board of Directors, as well as new businesses to become Business Members of the LEP and a new Chairperson of the Business Support Investment Panel. In its Annual Report, the Solent LEP details that this year they have invested over £51 million in business support, infrastructure, innovation and skills that will drive growth and create jobs in region. If you would like to help shape the future of the Solent, they are looking for business leaders to join its Board of Directors as well as businesses to become Business Members. The Solent LEP board takes responsibility for shaping economic strategy in the region, including the development of the Strategic Economic Plan and Local Industrial Strategy for the area. Alongside strategy development, the LEP is a major capital investor in the Solent economy and is delivering a growth programme valued at over £1.8bn supported by a £244m LEP investment, working with HM Government to create new jobs and enable new homes to be built in the Solent. In the last year alone, the LEP invested over £51m in key projects within the Solent that will drive economic growth. This is an open call for new Director candidates and applications from business leaders in all sectors and backgrounds are welcomed. In order to complement the existing balance of expertise and experience on the LEP Board, the LEP would, in particular, welcome applications from Southampton based business leaders, as well as those with demonstrable expertise and knowledge of financial planning, performance management, legal and governance best practice or risk management in the context of significant and complex budgets. However, the LEP is keen to hear from any senior business leaders that feel they can make a valuable contribution to its work in this, or future, roles on the LEP Board. The Solent LEP is also opening the application process for businesses to become members of the Solent LEP. Details on how to apply for membership or a role as a Director, or register your interest in future LEP Board roles, are available until Friday 20th April 2018.